This is a pack from Amazing Embroidery. You can go back to Amazing Embroidery for the ones you missed. I hope this is useful information. 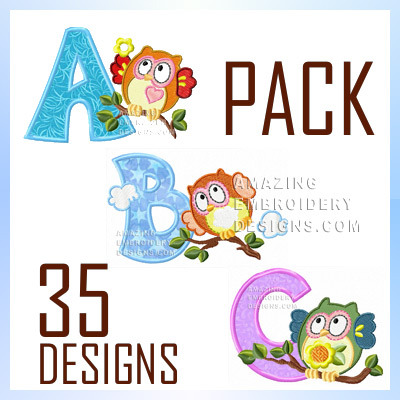 I only need a few of the alphabet letters for the Amazing Owl Font, but can only find the pack, no singles. Please can you tell me how to buy only one or two letters from this font? Anyone find out how to get the colorcharts for this Amazing Owl Font? Can't find it anywhere! I purchased the Amazing Owl font, and it downloaded but how do I get the color chart?